Mitch signed as a free agent with the Lions on February 13, 2018. In January 2019 Mitch signed a two-year extension keeping him in black and orange through the 2020 season. 2018: Mitch was a significant part of the Lions’ special teams units during his first season with BC. The North Vancouver product recorded nine special teams tackles and one defensive tackle across 18 games. 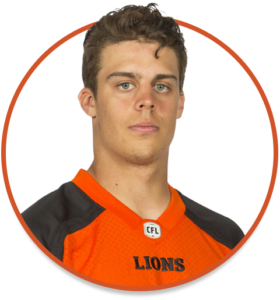 Mitch appeared in the East Division Semi-Final against the Hamilton Tiger-Cats, registering one special teams stop. 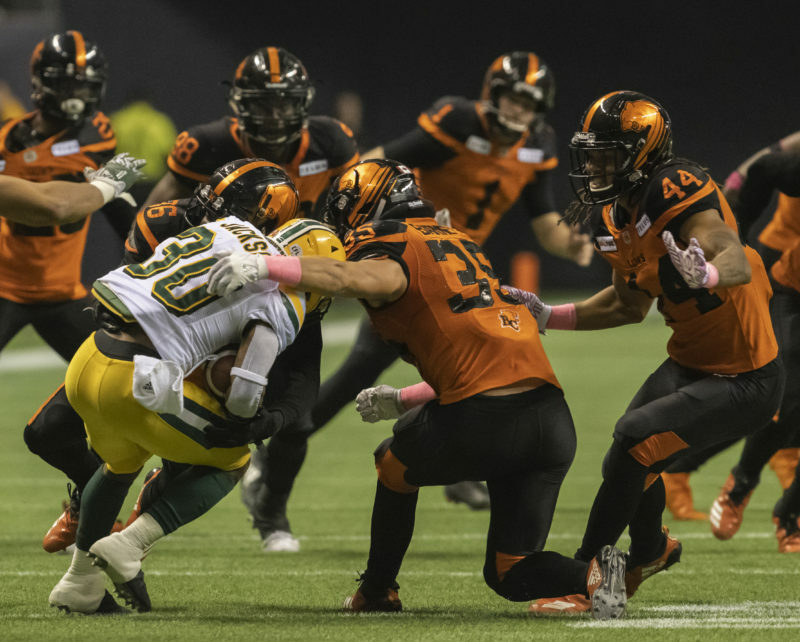 2017: (HAM) Appeared in all 18 regular season games with the Hamilton Tiger-Cats, recording a pair of tackles and 10 special teams tackles. 2016: (HAM) Mitch was selected by the Tiger-Cats in the seventh round (59th overall) in the 2016 CFL Draft. The rookie linebacker dressed in 11 regular season games at linebacker for the Ti-Cats. Barnett made his CFL debut on June 23 at Toronto. 2013-2014: Mitch played in 21 games over two seasons at Simon Fraser University. He posted 157 tackles, 13 tackles for loss, 3.5 sacks, two forced fumbles and two interceptions. 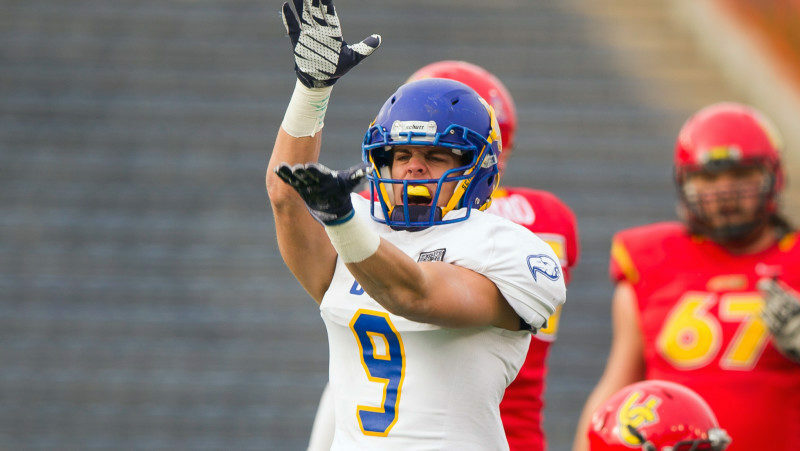 2015: Mitch transferred to the University of British Columbia in 2015 and recorded 101 tackles (48 solo, 53 assisted), six sacks, one forced fumble, two interceptions and three pass break ups across 12 contests. He was part of the Thunderbird squad that won the Hardy Cup (Canada West championship), the Uteck Bowl and the Vanier Cup in 2015. Known to his teammates as Barney, Mitch majored in History at the University of British Columbia. He cites winning the 2015 Vanier Cup with the Thunderbirds as his most memorable moment on the football field. Mitch lists Space Jam as his favourite film. He would have dinner with Michael Jordan and his grandma if he could have dinner with any two people. After his playing days are behind him, Mitch would like to be a firefighter or police officer.